In our meetings last month, leaders of the Australian greyhound racing industry repeatedly emphasized the need to reduce greyhound breeding and increase adoption. 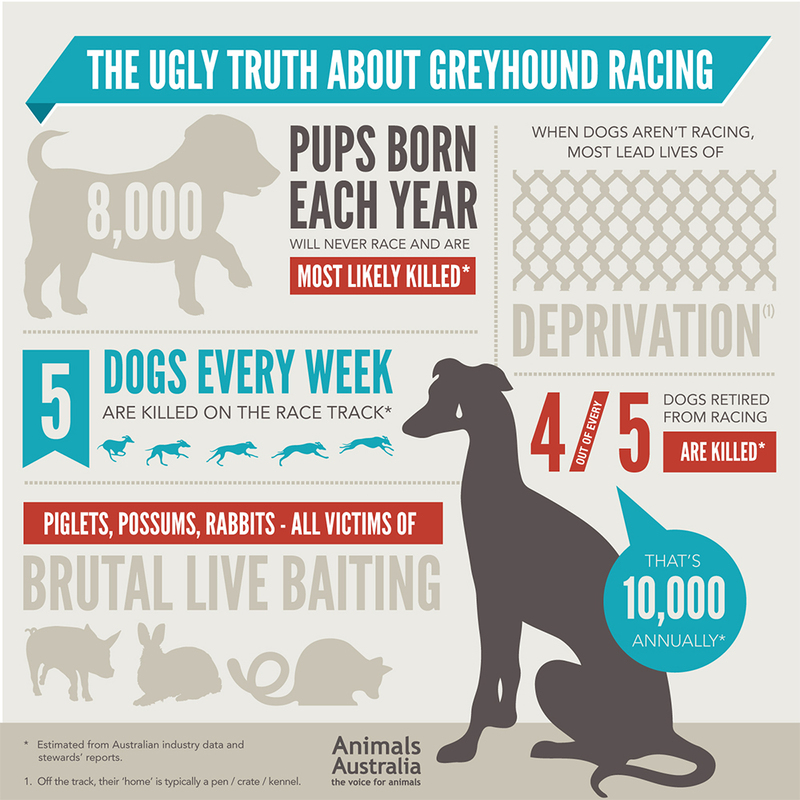 Today, according to an estimate by Animals Australia, as many as 18,000 healthy greyhounds are killed by the racing industry each year. GRNSW must provide approval for the breeding of any greyhound over the age of eight. 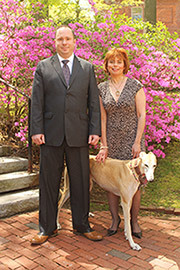 Female greyhounds can only be bred three times, unless GRNSW provides specific approval for additional litters. Greyhounds may only have two litters in any eighteen month period. "These Rules are aimed at improving the health and welfare of our breeding females, and to minimise the number of greyhounds bred that may not be suitable for racing." 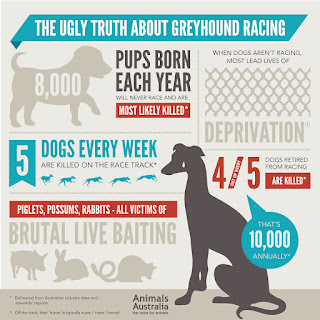 Unfortunately, it appears that Australian greyhound breeders would prefer to ignore the problem, and continue the status quo. According to recent meeting minutes from the Greyhound Racing Industry Consultation Group, an organization that represents greyhound trainers and breeders, it is "concerned" about the new breeding restrictions. The minutes also state that trainers believe breeding is "at a low" and are worried that the industry "may face issues providing sufficient numbers" of greyhound puppies in the years to come. This assessment is wrong and incredibly callous. "Members of the Greyhound Industry have received advice that the new policy is actually a ‘restriction of trade.’ Has GRNSW received legal advice on the possible impacts of this policy and does it meet with legal requirements?" This sad episode is a great example of why the Australian dog racing industry is doomed. While thousands of dogs die, greyhound trainers complain about their financial bottom line and threaten lawsuits. The next time they wonder why the public has turned against them, they should take a long look in the mirror.